Ok, people, tell Netflix you’re NOT going to watch another episode. Get off that therapist couch, throw your phone away (after reading this and posting it to Facebook), and run outside – it’s SPRING! I don’t care if you still need a winter jacket and three scarves, the calendar hits April on Sunday and there’s so much to do this year. First, from April 18 to 21, the Corning Community College Muse of Fire Theatre presents Spring Awakening. There are already pictures on social media of the set design progress and rehearsals – and needless to say, I’m excited. It’s an ambitious undertaking for?Professor Mary Guzzy’s cast and production team, but their overall talent will absolutely persevere. For $15 or less, go see it! BEAUTIFUL – The Carole King Musical comes to the Clemens Center from Tuesday, May 15 to Sunday, May 20. While the entire “Best of Broadway” series has been great this year, this?isn’t the average 2-day, middle of the week?tour. BEAUTIFUL stays in Elmira for 8 performances, including weekend matinees and evenings. No excuses for missing this one. 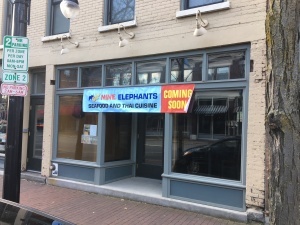 The ‘signs of Spring’ include literal signs for two new hangouts on Market Street: Liquid Shoes Brewing and Nine Elephants Seafood and Thai Cuisine. Liquid Shoes will bring?a new lineup of local craft beer to Corning, made by Elmira’s Shoemaker brothers who have been brewing out of their garage for years. Located at 26 E. Market St., the building facade has been completely renovated to include removable windows for those beautiful Spring and Summer days we’re all looking forward to. Follow along with the brewery’s progress on Facebook as they get closer to announcing an open date! Last year, we joked on April Fools Day that Anne Hathaway was opening a restaurant in the old Panasia building. 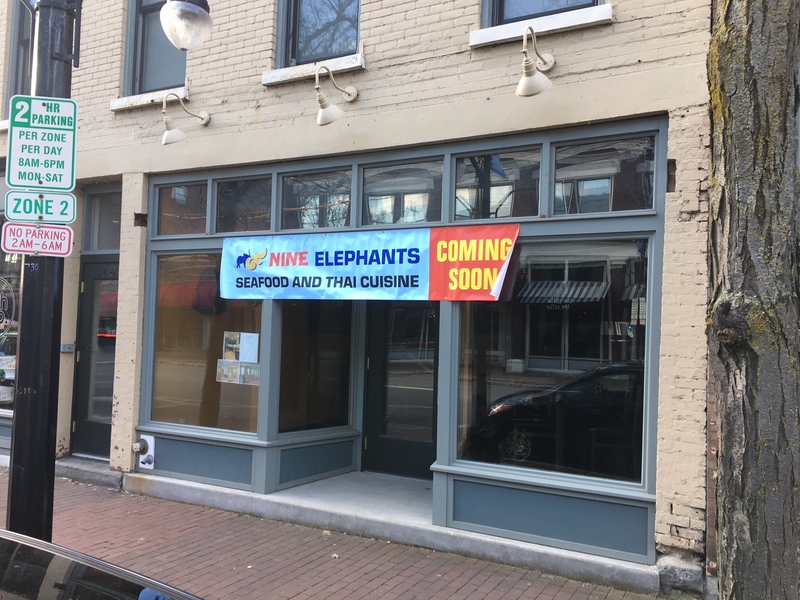 One year later, it’s no joke that Corning is getting a new Thai restaurant in that space – though unfortunately there are no signs of Anne’s involvement. There aren’t many details to share, yet, but stay tuned! Speaking of breweries, the Heritage Village (formerly known as the Benjamin Patterson Inn) is hosting its third annual Craft Beverage Expo on Saturday, May 19 from 3:30 to 7pm. They’ve already announced 5 participating breweries and expect more to sign on in the coming weeks. ?I went to this event last year and had a ton of fun – and the whole time,?I was wondering why more people didn’t know about it. So even though I hesitate to share this hidden gem of an event?with the rest of the world, it’s just too good not to share. Outdoor beer tastings, live music,?historic buildings in a beautiful setting – there’s literally nothing bad about this. The Memorial Day extravaganza of classic rock (read: DSB) and street food vendors. We’d be remiss in making a post about Spring without mentioning Corning’s premiere festival, GlassFest! This year features the return of hot glass demos in Centerway Square, an 8K race, wine and beer tasting, fireworks, and live music (did I mention DSB?). Whether you pick one day or the whole weekend, there’s plenty to do with family and friends. Plus, you literally cannot miss DSB! 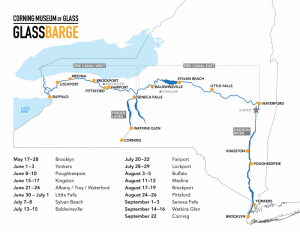 While it’s not an official part?of GlassFest, the Corning Museum of Glass will also launch its GlassBarge tour through New York State around the same time. ?According to the CMOG website, “in 1868, the Brooklyn Flint Glass Company relocated to Corning, via the New York Waterways, and evolved into the company that is today known as Corning Incorporated.” The GlassBarge tour celebrates the 150th anniversary of this Journey (no relation to DSB) and it’s truly a can’t-miss event. 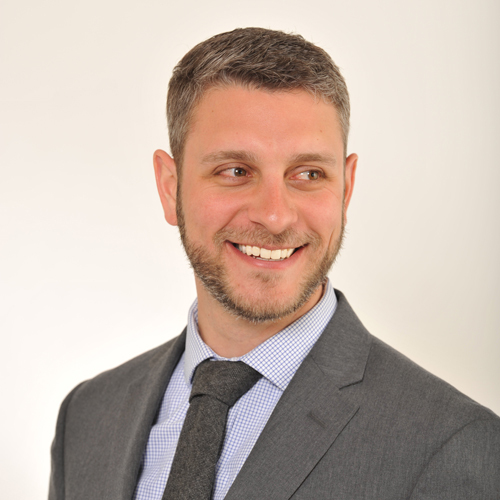 Follow along online! The first person to tell me there’s nothing to do around here gets a free slap from the whole team at Urban Corning. And the first person to inevitably complain that it’s too hot at some point this Summer wins a free, lifetime, one-way trip to Siberia. Good luck and Happy Spring!